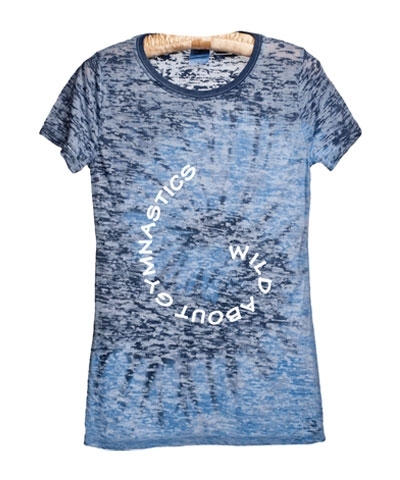 Blue Wild About Gymnastics Tie Dye Burnout Tee. Wear alone or over your favorite camisole, sportsbra or layer with other tanks or tees. These soft cool tees will become a favorite. Made out of 50/50 Poly/Cotton fabrics and constructed in the new longer styling. 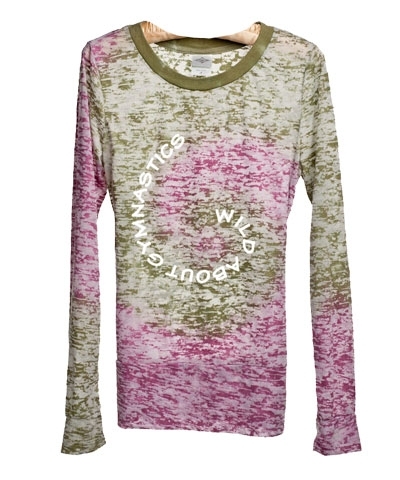 Tie Dye Burnout Tees come in Girls Junior (teen) sizes only and are sized on the small size. Girls Junior sizes are identified as S-XL.